On a Walmart trip with my 7 year old son, I had the brilliant idea that we should buy a puzzle. 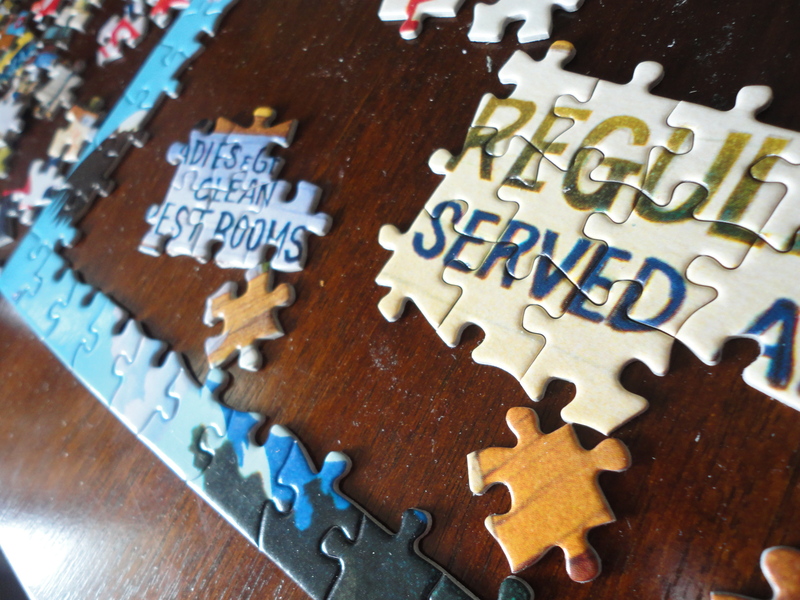 I thought it would be fun to do it together, and since we have a whole summer coming up, and sitting in air conditioning with a puzzle seemed rather pleasant. 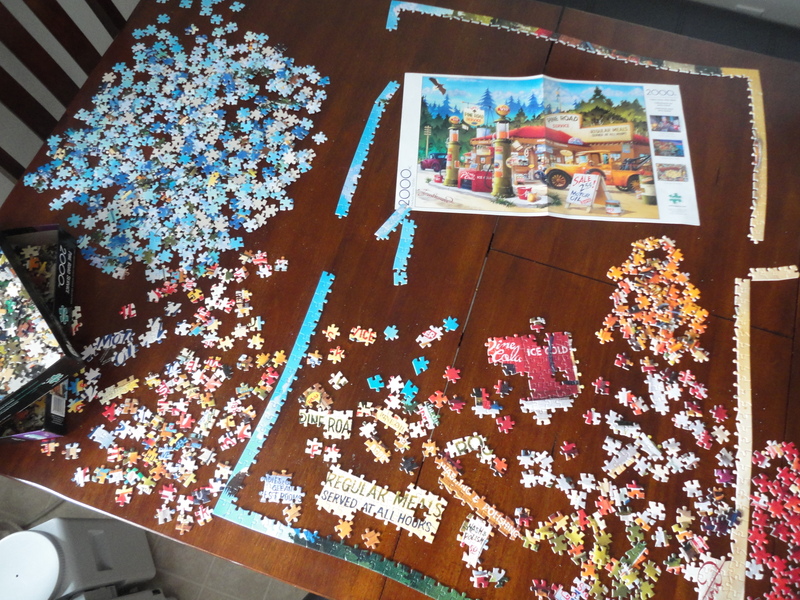 The thing is, we chose a puzzle based on the picture, which seems like an excellent idea, except we didn’t actually take the number of pieces into account, so we now have a 2000 piece puzzle with a very nice picture that I’m working on alone. It’s actually rather relaxing! When I’m sorting through some writing knot in my head, or if I’m just feeling rather empty of ideas, I stare at the pieces and see what I can make fit. It’s rather relaxing, and instead of dealing with real life, I’ve been working on my puzzle. So this is what I’m up to when not clattering away fingers to keyboard. Way less exciting than you thought, no? Puzzles are not my thing…good luck with getting this together. Thanks! It’ll take me a while!